Left and middle: The recovered boat, showing the effects of three years of weathering. Right: the boat in its original condition. In 2015, Florida State University Professor of Oceanography William Landing and a team of environmental scientists boarded a research vessel and sailed north into the frigid, ice-sheathed waters of the Arctic ocean. 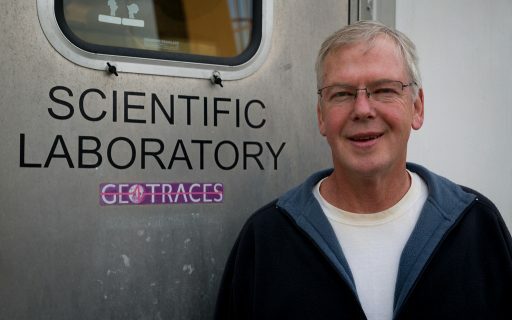 As members of the international GEOTRACES program, Landing and his colleagues were investigating the cycling of trace elements and their isotopes, an important indicator for ocean health and contamination. But among their heavy coats and arsenal of research equipment, the team carried some unusual cargo: four cardboard boxes filled to the brim with more than 1,000 toy wooden boats, decorated by students and science enthusiasts from throughout the United States. This peculiar payload was the product of an outreach initiative financed by a National Science Foundation grant awarded to Landing, who was the cruise’s co-chief scientist, and coordinated by U.S. Coast Guard Marine Science Coordinator Dave Forcucci. The project, called Float Your Boat, called for the researchers to deposit the boxes full of toy boats on the ice floes that pave the bone-chilling North Pole in vast, stark white sheets. Each batch of boats was accompanied by a satellite buoy, so that Float Your Boat participants everywhere could track the tiny fleet as it drifted with the ice. Stamped prominently on the surface of each boat was the program’s website, www.floatboat.org. The team’s ultimate hope was that, long after the ice floes melted, the cardboard boxes disintegrated and the boats had drifted out to sea, they would begin washing ashore to be found by curious passersby, who would then visit the website and log the coordinates of the spots where the boats were recovered. 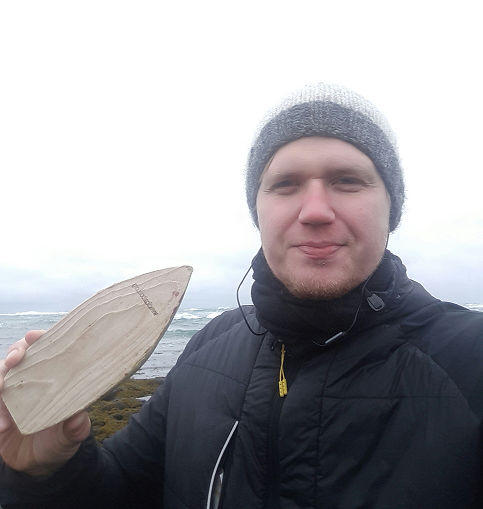 In October 2018, three years after the Arctic cruise, an Icelandic man named Bolli Thor found the first of the beached boats near his small home village. More remarkable still, researchers were able to trace Thor’s boat back to the New York elementary school student who had adorned it with magic marker decoration years earlier. Bollie Thor with the boat, in Iceland. 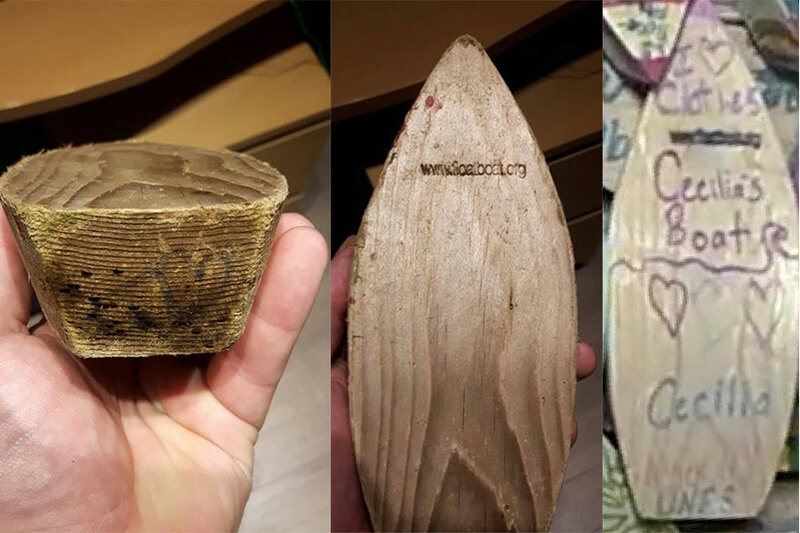 The dual purposes of the Float Your Boat project, a happy marriage of science outreach and investigation, allowed researchers to simultaneously generate excitement for their work and study the Arctic using unorthodox tools. In an effort coordinated by Florida State researcher Peter Morton, almost three full boxes of the toy boats were decorated by attendees to the FSU-based National High Magnetic Field Laboratory’s 2015 Open House — a local hub for science outreach and community engagement. Later, Landing and his team, including the cruise’s co-chief scientist and Florida International University Professor David Kadko and University of Washington field engineer Paul Aguilar, found ways to use the boats as rudimentary scientific instruments. 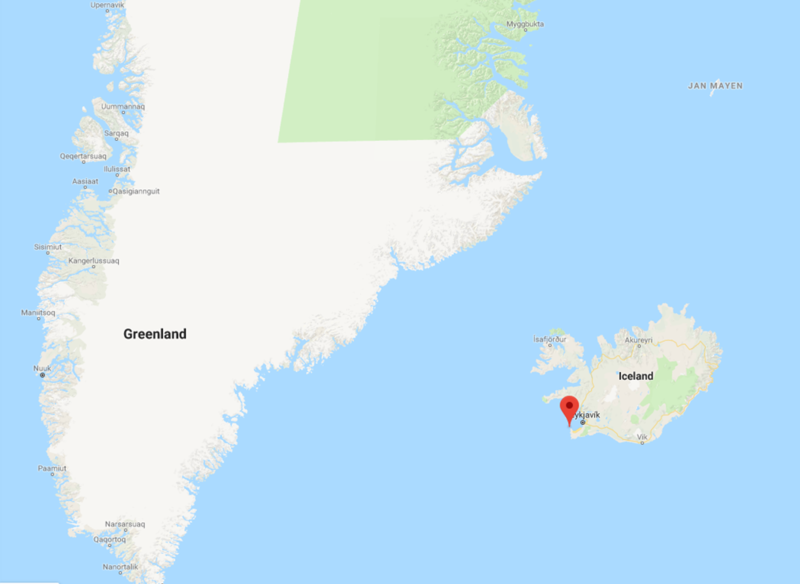 The location, Sandgerði in Iceland, where the boat was recovered. Landing said these kind of projects — and the astonishing, serendipitous stories they produce — are crucial in cultivating broad enthusiasm about science among the general public, especially at a time when popular scientific literacy will be an important tool in addressing the looming specter of environmental catastrophe. Landing said he hopes inquisitive beachgoers braving the chilly coastal weather in the Canadian Arctic, eastern Arctic and North Atlantic will continue recovering the small boats and reporting their discoveries. Tyson Trudel with The Center of Wooden Boats in Seattle produced the toy boats, and Ignatius Rigor, a senior research scientist at the University of Washington’s Applied Physics Laboratory, provided the tracking buoys.